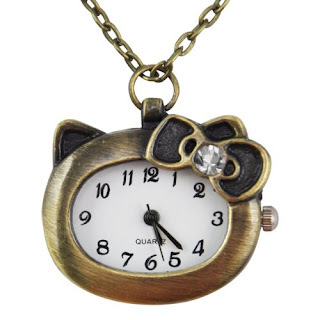 Right now you can get a great Hello Kitty Bronze Watch Necklace for only $3.99 shipped! This would make a wonderful gift for any Hello Kitty fan. It also comes in Pink and Silver for the same price.